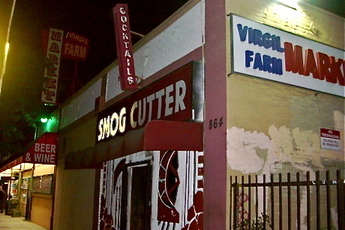 My friend Myron and I were sipping good, smoky whiskey at the Smog Cutter in the Thai Town section of East Hollywood, while listening to various Burmese chanteuses chirp out ballads on the jukebox. We began the night by bench racing, but ended it by arguing about IndyCar sensation Danica Patrick and female racecar drivers. With his second collection of musings on all things nitro, drag-strip journalist Cole Coonce pulls no punches in his mind-warping analysis of the greatest sport in the history of western civilization, drag racing. Volume 2 of Cole Coonce’s “Top Fuel Wormhole” features in-depth conversations with the luminaries of drag racing, including Don Prudhomme, Tom McEwen, Don Garlits, Chris Karamesines, Roland Leong, Dean Skuza, Brent Fanning, Clay Millican and Austin Coil! Only $10.99 at Amazon.com. 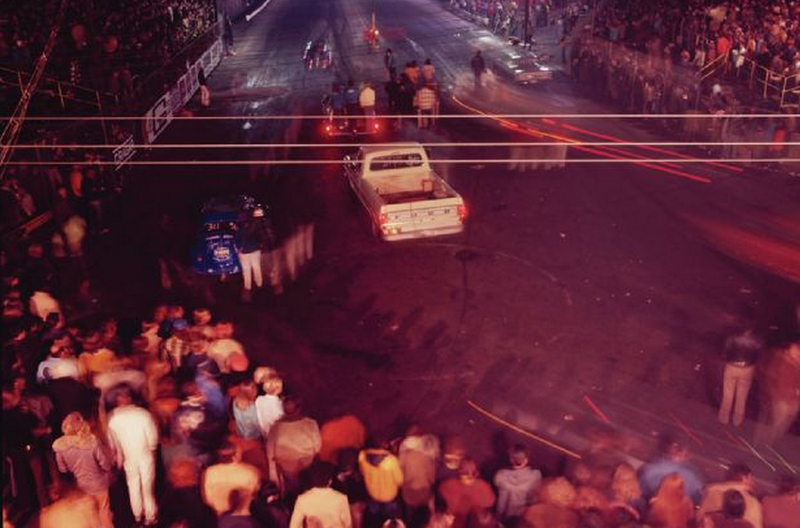 “Remembering Lions Drag Strip Last Drag Race …And the Night the Music Died.” Drag-strip journalist Cole Coonce collates the thoughts and memories of drag racing superstars who partied as hard as they raced on the night Lions Drag Strip was shuttered. Among those quoted are luminaries like Don “the Snake’ Prudhomme, Tom “the Mongoo$e” McEwen, “TV” Tommy Ivo and Ed Pink. Drag-strip journalist Cole Coonce grabs a ride and chases the greatest spectacle in nitro-burning: the Bakersfield Cacklefest. Top Fuelers and AA/Fuel Altered galore! Tar Hole Dimedrop is proud to announce its unveiling of Cole Coonce‘s The Ketamine Sun, Part 1, available now on Amazon. The initial “punk noir” release from the new Tar Hole Dimedrop imprint, The Ketamine Sun, Part 1: Cremora Creamer, The Betamax Malaprop and A Newtonian Bang is the opening installment chronicling the saga of Blackie Carbon, an aging LA punk rocker and now-indentured studio detective. After his music career has imploded, Carbon begins working for the wealthy Toshiro Kamiokande. Toshiro is crippled by his role in a failing Japanese electronics corporation and movie studio, and is being squeezed by an Internet pornographer. He wants Carbon to calm down the situation and eliminate the distraction. But with Cremora Creamer and Chandra Nameesh — Kamiokande’s two wild, untamable daughters — prowling and probing LA’s nether regions, Carbon has grabbed a couple of tawdry and toothsome tigers by the tail — and that’s before the shooting starts.